Polka dots scream fun. 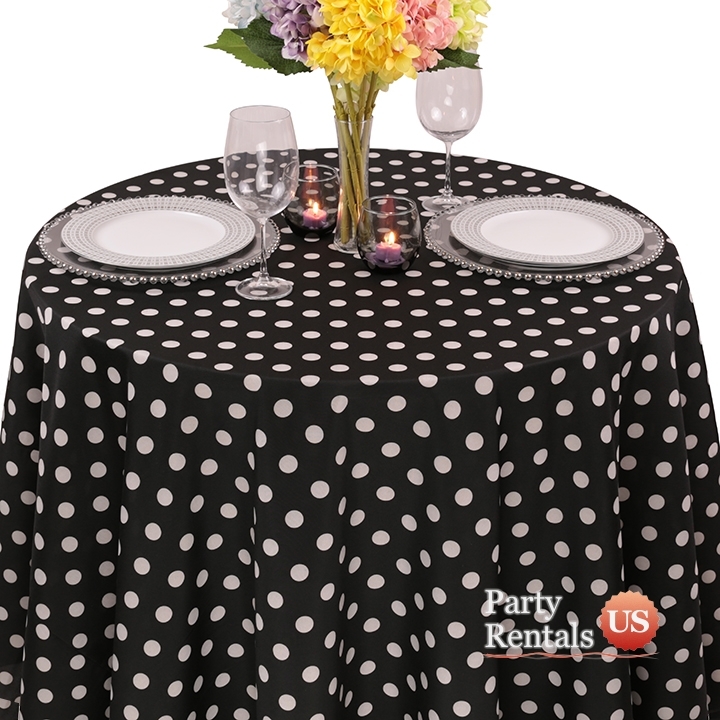 Choose between our black and white patterns on polyester fabric and cover your tables in a whimsical way. These tablecloths will add to your playful decor, which will make your food taste even better.